Home › Bethel "Church" › Che Ahn & C. Peter Wagner presented Bill Johnson with an honorary doctorate at the Wagner Leadership Institution in 2012. In this article we address Johnson’s deception and the role Che Ahn now plays as leader of the NAR and his ‘Apostolic’ influence on Johnson’s ministry. Back in 2012 Bill Johnson’s wife Beni Johnson, uploaded images of her husband standing with the late NARpostle C. Peter Wagner and NARpostle Che Ahn (who took over as leader of the New Apostolic Reformation after Wagner’s death). The problem with these images is that Bill Johnson has constantly denied he knows anything about the NAR or that his beloved Bethel has any “official” ties to it. The pictures are self-explanatory when we consider who uploaded the images and who Bill Johnson is positioned between. The evidence proves these images were taken at Wagner’s WLI, Bill Johnson receiving an honorary doctorate from Che Ahn and C. Peter Wagner. 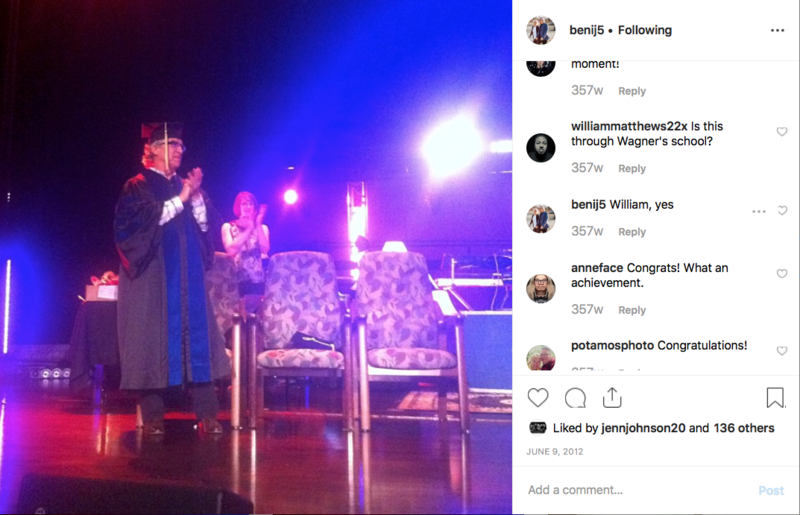 In this following image you can read Bill Johnson’s wife Beni acknowledging that the honorary doctorate was received “though Wagner’s school”. In light of these images from 2012, it’s clear that Bethel and Bill Johnson’s denial of affiliation with the New Apostolic Reformation have been clearly refuted. The above article exposes how Bill Johnson misleads (which is a form of lying) Christianity Today in regards to both he and his ministry being a part of the dangerous New Apostolic Reformation cult which is still openly advocated by Bill Johnson’s close associate, new NAR leader Che Ahn today (see 6 minutes in). There’s no doubt that as the NAR’s new leader Che Ahn could confirm Johnson’s vital role in this worldwide cult. These wicked wolves claim to get direction straight from God Himself, despite the fact that their ‘ministries ‘ are in direct opposition to God’s revealed Word. They operate with almost no oversight except to more senior ‘Apostles’ like Che Ahn (and the late C. Peter Wagner).